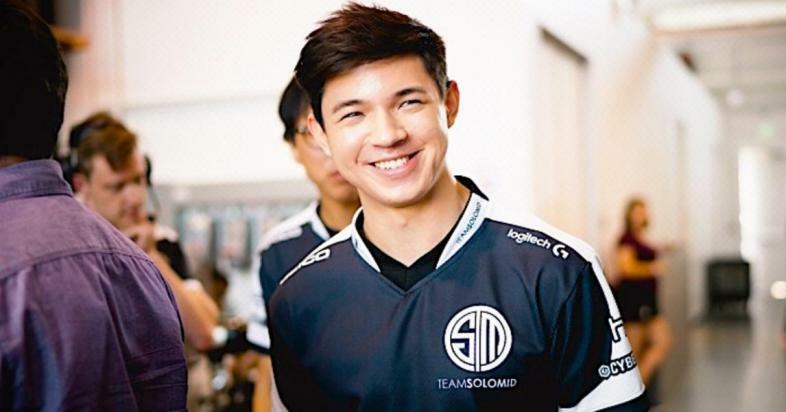 Team SoloMid’s Hauntzer recently tweeted about Maokai’s current state. In the past months, Hauntzer has tweeted about his dislike of Maokai, with tweets like “Riot please nerf maokai again”. Other professional League players have expressed a hatred of Maokai, including Beşiktaş e-Sports’ top laner, Flaxxish. His tweets were more specific compared to Hauntzer, including “Maokai is broken quote me on this” and “Hate ninja tabis and maokai players…” Hauntzer’s hatred is much less obvious if you take his words without context. Hauntzer’s past tweets involving Maokai. Hauntzer’s most recent tweet involving Maokai. The sarcasm in this tweet almost stings. Between the clap emoji and the double exclamation point, there’s no way this tweet isn’t sarcastic. A lot of replies to the tweet jokingly read “TreeSM”, pairing Maokai and Team SoloMid together. Speaking of TSM, the team recently had their seed celebration dinner, as they placed top seed in the 2017 NA LCS Summer Split. The most ironic part about all of this is that Hauntzer’s main champion during the spring split was Maokai, with 11 games played of 48 total. If this indicates anything, it’s that Hauntzer doesn’t like Maokai’s current state, but has to conform to Maokai being top tier as a pro player. However, Maokai isn’t Hauntzer’s best performing pick or even his most consistent. If we take a look at his champion statistics, his 8 win and 2 loss ratio on Nautilus should be the most obvious thing (aside from Maokai, of course). Even going back to 2015, Maokai was Hauntzer’s most played champion, then he was almost never played in 2016. Overall, the lesson we learned today is that Hauntzer most certainly speaks for the trees. Or do they speak for him? Only time will tell. Fresh out of class and taking a break from Summoner's Rift, Jordan knows his way around the place. What place? We're still working that one out, but news reporting seems to be a good start.